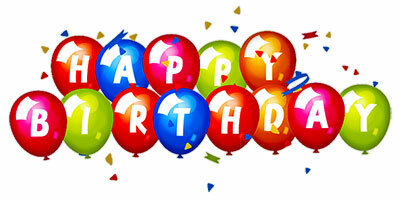 Happy Birthday clipart and animations with lots of balloons, confetti, cakes and even a bee or two. HTML copy and paste codes for websites. Happy Birthday with balloons, confetti and a happy young woman. Happy Birthday smilies that are very excited for you. 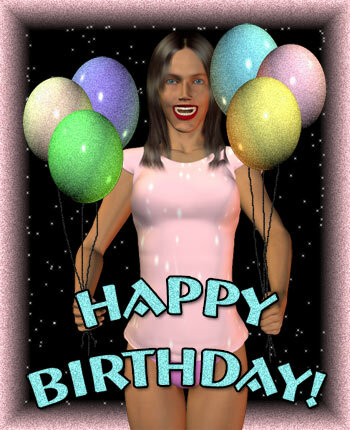 Happy Birthday To You animation with balloons. Happy Birthday balloons with confetti. 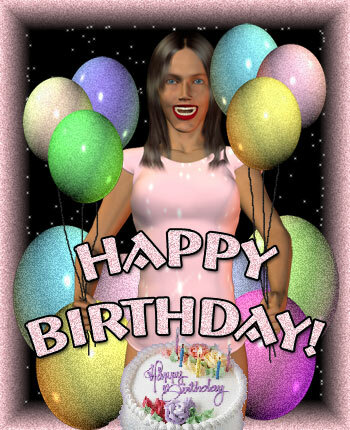 Happy Birthday in purple with light animation. 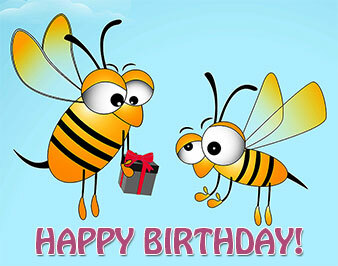 Happy Birthday my little honey bee. Happy Birthday with a heart balloon and glitter animation. 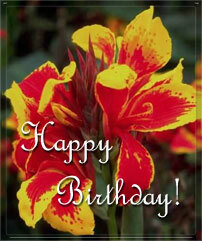 Happy Birthday with bright flowers. Flowers from your birthday bear. Happy Birthday with birthday cake, plenty of balloons and confetti in pink frame.